The deluxe comfort, folding booster seat provides an ultra-compact folding design for easy storage and portability. 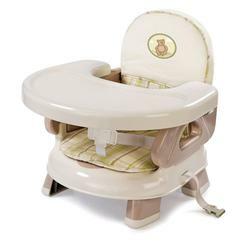 The multiple height adjustments allow for easy mealtime feeding at the table, along with a full sized tray and restraints. 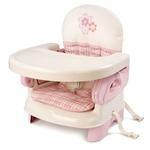 As the child grows, it can be used as a toddler chair for playroom or living room "just my size" comfort.